Last October, a peculiar piece of artwork passed through the Christie’s auction house and sold for almost $500,000. It’s not even a good piece of art: the image is blurry and there’s hardly any detail, except for the basic parts of the face and the black suit. But it isn’t the bad art that was peculiar about this work. What made people curious was the artist of the piece. For the artist is neither alive nor dead and doesn’t have skin, blood, or bones. The artist is a machine: an artificially intelligent machine that was taught how to paint. For years, computer scientists and artificial intelligence researchers have been working hard to make the machines more human-like. They have taught machines to do just about anything, and the more time passes, the more the machines get smarter. Smart enough that some people recognize the dangers that one day, machines could take over their jobs, leaving them unemployed. It seems that the fear is real, now that machines are smart enough to know how to paint. Obvious Art, a Paris-based art collective, is the one responsible for the creation of the AI that created the piece. The company signed the painting with the AI’s algorithm: “??? ? ??? ? ?? [??? ? (?))] + ?? [???(? − ?(?(? )))].” What they did was use the Generative Adversarial Network algorithm and used 15,000 paintings as a sample for the algorithm. The algorithm then made paintings and compared it to the 15,000 samples to see which ones looked like the painting and which ones did not. 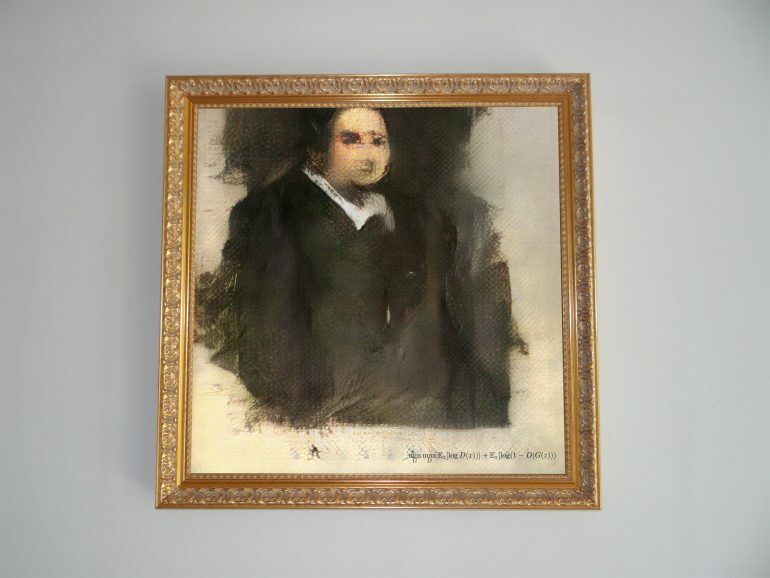 This way, the machine started learning how to paint a portrait that looked similar to the 15,000 samples. The algorithm created and compared until it could create a match. Through such process, Obvious created 11 portraits of a fictional family they made up. Calling them “The Belamy Family”, the name is based on the surname of Ian Goodfellow, the inventor of the Generative Adversarial Network algorithm. The surname Belamy is based on the words “bel ami” which means “good fellow” in French. The project was headed by Obvious’ Pierre Fautrel, Hugo Caselles-Dupré and Gauthier Vernier. Obvious isn’t the first company to use the algorithm in this way: in 2017, researchers at Rutgers University were working in collaboration with Facebook’s AI labs in modifying a version of the Generative Adversarial Network to make art. Their project was much more ambitious: using 81,500 paintings of different genres of art. The results look more modern and more abstract than what the Obvious AI was able to create but has a similar blurry style. Another researcher was using AI to create images that can be used for animation. Mark Riedl, from Georgia Institute of Technology, encouraged the use of the algorithm outside of the usual things they would use it on. 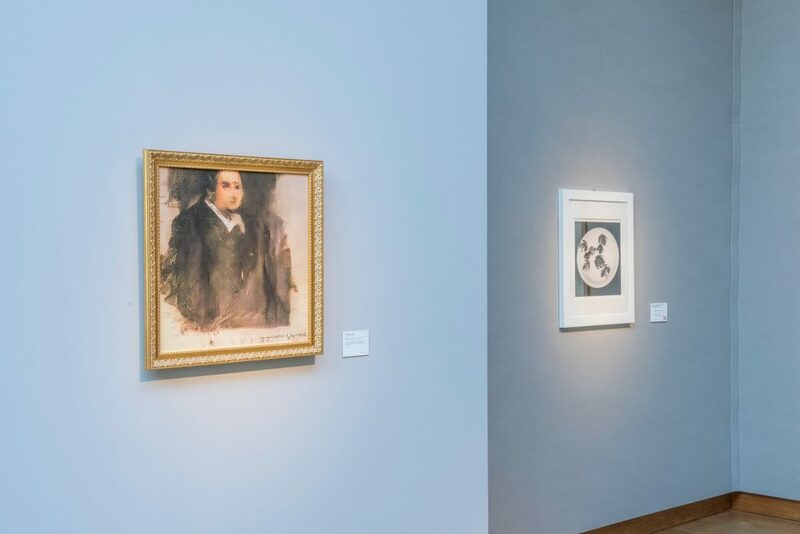 Eventually, the AI at Rutgers also learned to compare the 81,500 samples against each other and find links between two different works of art. Christie’s Richard Lloyd was very proud of the sale of the portrait. In his introduction during the sale of the painting, he said that the sale would herald the coming of AI art. Research and development are still ongoing for artificial intelligence and the same goes for using Generative Adversarial Network algorithm to create art. Caselles-Dupré tells the press that this isn’t mostly about making art, but rather making a machine that can make art. “This new technology allows us to experiment on the notion of creativity for a machine,” he said, adding that their research aims to present the similarities and differences between humans and machines when it comes to things like learning or the creative process.